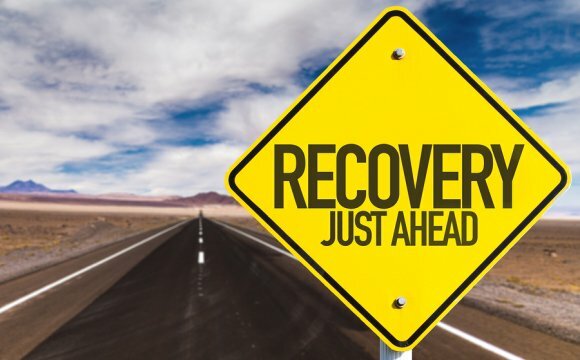 At South Florida Detox Center , we understand that every patient has a unique journey toward addiction recovery. Our drug treatment centers in West Palm Beach provide customized solutions to help patients break free of addictions. Your customized treatment plan will begin with a visit with one of our physicians. Our physician will perform a thorough examination and assess your medical history. They will then explain your drug abuse treatment options. Your customized treatment program can include medications designed to ease the process of drug withdrawal and reduce your risk of a relapse. Our patients often find success with Suboxone treatment. Each individualized treatment program also includes additional screenings and tests, along with assessment guidelines for each follow-up visit. We will continually discuss your progress in reaching your goals and you can also receive referrals for other services as they are needed. These outside services might include substance abuse counseling, acupuncture, and massage therapy. Heroin is a type of opioid drug that users may inject, snort, or smoke. With any of these methods of drug delivery, heroin rapidly reaches the brain. Because of this rapid and strong high, users are placed at a high risk of drug dependence and life-threatening health hazards. Heroin is among one of the most addictive and dangerous illegal substances. Its severe withdrawal effects mean that it is particularly difficult to break a heroin addiction simply by going “cold turkey”. Individuals who are struggling with an opiate addiction near West Palm Beach can find the help they need to safely get through drug detox at an outpatient treatment center. The sooner a heroin addict goes through opiate detox and works toward addiction recovery, the less chance he or she has of suffering the risks of long-term heroin use. One of the dangers of continued heroin use is the development of drug dependence. Drug dependence involves the onset of withdrawal symptoms when the drug is no longer in the body. A heroin user may begin to experience withdrawal effects within just a couple of hours of their last use. These symptoms can include nausea, vomiting, chills, sweats, stomach cramps, and muscle spasms, along with anxiety and sleep disturbances. Without medical help, the symptoms of withdrawal can prevent a user from successfully quitting the drug. Heroin users who inject the drug intravenously (IV) place themselves at risk of blood-borne diseases. It’s not uncommon for heroin users to share needles, which allows for the transmission of hepatitis B and C. Hepatitis can result in severe liver damage. Users who inject the drug are also at risk of developing abscesses under the skin and cellulitis infections, which can also result in necrotic tissue, limb amputation, and systemic infection. Additionally, long-term heroin users may develop collapsed or scarred veins. The risk of a fatal overdose is particularly high among heroin users because the concentration of the drug can vary so widely. In other words, a user who is accustomed to relatively impure heroin may unknowingly receive a injection of less diluted heroin. In these cases, an overdose can easily occur, causing loss of consciousness, suppressed breathing, delirium, low blood pressure, and even death. What Makes Heroin So Dangerous? Heroin addictions are serious problems that require intervention and substance abuse treatment in West Palm Beach. One of the reasons why this drug is so dangerous is that it is highly addictive. Drug dependence can develop rapidly and users invariably need increasing amounts of the drug to attain the same effects. The unpleasant withdrawal symptoms that occur with reduced drug intake tend to prompt users to simply continually return to the drug. You can hear more about the dangers of heroin by watching this video. It offers a quick breakdown of how heroin affects receptors in the brain to suppress pain signals and produce a feeling of well-being. This expert also explains why heroin users are so susceptible to environmental triggers and which health problems may cause death in drug addicts.